Aware that some Burgundy lovers might point out that they have known some of the growers included in this report since they produced their first vintage back in 1903, nevertheless, Burgundy remains a vast ocean of growers beyond the most famous names. Nothing gives me more pleasure than foraging for winemakers unknown to myself, or those that I have never visited. There are innumerable “under-the-radar” growers in Burgundy, and I use that term knowing that some oenophile’s radars are better than others. There is always one more grower that you have to visit around the corner. When it comes to Burgundy there is no full stop. Back in early March I attended the biannual “Les Grands Jours” week of tastings held around the region and organized by the BIVB, who, I must say, do an excellent job. This is a golden opportunity to search through lesser-known appellations such as the Côte Chalonnaise and meet face-to-face with “lesser spotted” growers that you have heard about, but never seen. Usually I avoid such exhibitions since it is not a productive environment to taste: too many people, too much noise, too many rugby scrums as people jostle for the next pour. Therefore I use tactics: arrive when the doors open and it is quiet, avoid crowds and head for the more spartanly attended tastings. Consequently, I chose to forego the enticing Meursault tasting since that would inevitably be crammed and strolled up to Clos de Vougeot at the crack of dawn for the “Vosne Millésime” tasting (pictured on the Vinous homepage) to taste in the quiet first hour. Indeed by nine o’clock there was already a 200-metre long queue and in a scene straight out of a nightclub, bouncers refused entry to attendees not wearing the correct badge. I half-expected a glitter-ball once inside. Not every day was spent at Les Grands Jours, so I used these to visit some new names from up in Gevrey-Chambertin all the way down to Rully. The simple rule was this: if I visit your Domaine regularly then thank you, but I am not going to taste your wine today. There are just under 40 growers in this report, very few of whom have appeared on Vinous before now. I have also handpicked several growers who I visited or whose wines deserved more background detail, which you will find below. I leave it up to you to sift through the information and attendant notes and expand your Burgundy horizons. Who knows, maybe save yourself a bit of money with better-value alternative and start acquainting yourself with a future star early in their career. Tupinier-Bautista has long been one of my favourite Côte Chalonnaise producers based down in Mercurey. “Manu” Bautista took over from his father Jacques Tupinier in 1997 and ratcheted up the quality across the Domaine’s 10 hectares of vine. With a brand new modern winery built in 2016, there is no doubt that Tupinier-Bautista will continue producing some of the finest Mercurey wines. There is an attention to detail here that sets them apart from other producers and, contrary to Manu’s ursine appearance (he looks like the kind of guy you wouldn’t want to pick a fight with), the wines are intense and built to last, yet are often more graceful and broad-shouldered than their peers. Along with Domaine François Raquillet, this Domaine demonstrates that Mercurey can produce excellent, well-priced wines. Domaine Ninot is a nice discovery during my tastings of several Côte Chalonnaise producers down in Mercurey. 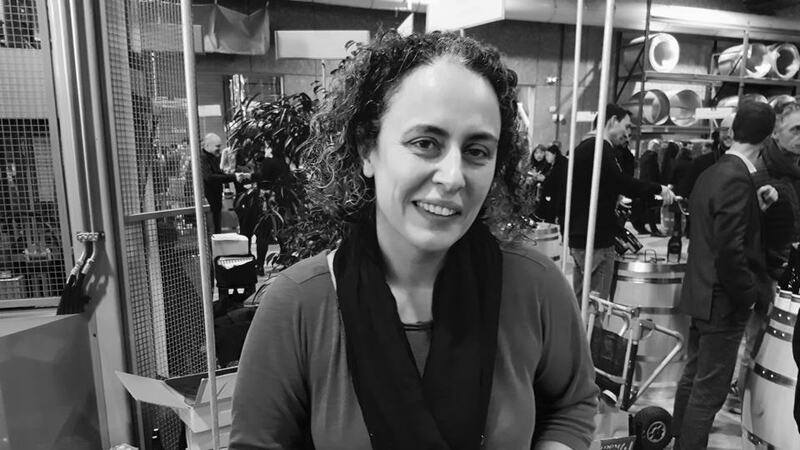 Erell Ninot, who presented the wines, and her brother Flavien can trace the family's winemaking roots back to the 14th century. Their own tenure commenced in 2005 upon taking over from their father Pierre-Marie, their grandfather having been one of the pioneering names in Rully. Flavien tends the vines whilst Erell oversees the winemaking duties. Her talents were recognized when she was voted the most promising young winemaker in the annual “Les Jeunes Talents” competition. Together, they tend 13 hectares of vine in Rully and Mercurey (picked by hand with rigorous sorting), many of which illustrate that they can be a source of well-crafted, delicious and great value wines that come highly recommended. Domaine de la Folie is a reborn estate. Whenever I mentioned my visit to this address just outside the town of Chagny, the reply was something along the lines of “They used to produce wonderful Rully...but they went downhill in the 1990s...what happened?” That cannot be denied. Nor can the fact that Clémence and Baptiste Dubrelle have taken it upon themselves to give Domaine de la Folie a new lease of life. The Domaine’s reputation stems from Clémence’s grandfather, who oversaw the wines up until the 1970s. Unfortunately quality slumped in the 1980s and a lack of investment saw this, once glorious winery, fall by the wayside with wines that could not hold a torch to past glories. 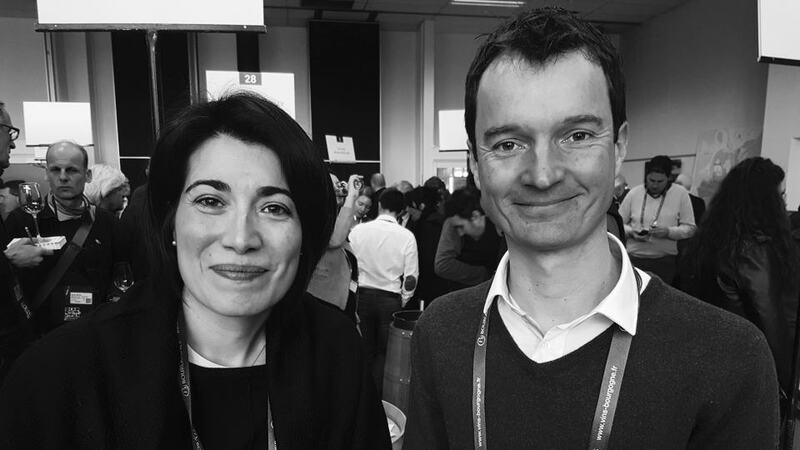 Both Clémence and Baptiste pursued successful careers in public relations and engineering respectively, before making a life-changing decision and jacking that all in and face what must have been the challenging task of rejuvenating the Domaine. Alas, when I visited, Baptiste had recently fallen from a ladder in the winery and landed on the ball of his feet, an injury far more serious than this innocuous cause, necessitating several weeks in plaster that rendered him unable to descend down the steep steps for the barrel cellar for a frustrating period of time. Now on crutches, he had just started to be able to tend his barrels – a relief for both family and himself. The barrel cellar actually lies below the three-story maison that offers a panorama northwards all the way up to Nuits Saint-Georges. Funnily enough, Clémence’s 101-year old grandmother lives on the top floor, Clémence’s parents on the first floor and Clémence’s own family on the bottom. I have to say, I was impressed by Sébastien’s wines, as they have a purity and intensity about them. Quantities are predictably tiny and diminished further by frosts, but Lamy-Caillat is certainly a domaine to watch because you can easily spot the passion and attention to detail going into the creation of these wines. Hopefully they will be able to expand their holdings in years to come. There are a lot of young growers who are “bubbling up” in Volnay at the moment. I have been writing and praising the wines of Domaine Jean-Marc & Thomas Bouley for a few years now. Here is another “Bouley” in the form of Domaine Réyane & Pascal Bouley, although I am unsure if there is a close family connection between the two. 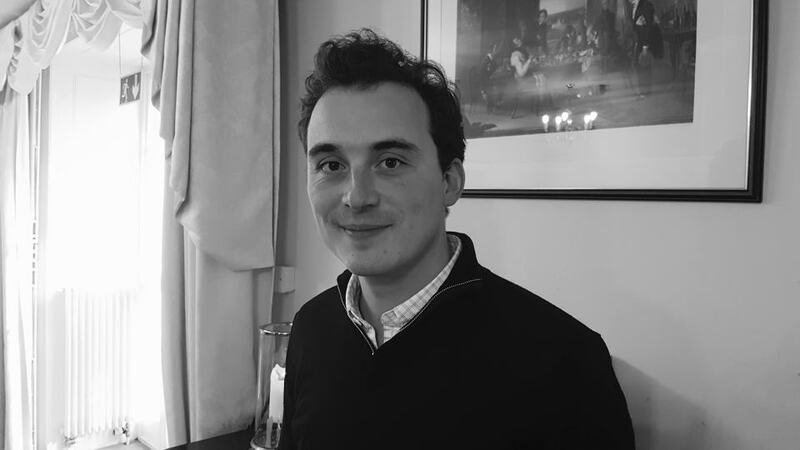 Réyane & Pascal have recently passed the running of the domaine to their son Pierrick, the sixth generation of winemaker, who was pouring the wines at Les Grands Jours. Judging by the 2016s that I tasted, he is clearly a man to watch. Everything is of course, picked by hand, sorted and generally completely de-stemmed after which the wine undergoes a 10 to 12 days cuvaison with both pigeage and remontage. Pierrick has tweaked the formula a little, introducing lower extraction and decreasing the use of SO2 to the minimum necessary. Maturation is usually around 18 months with around 25% new oak. As you would expect, the range focuses on their home village of Volnay with a core of five Premier Crus including Clos des Chênes and Santenots. Pierrick is clearly fashioning elegant Volnays in a similar style to Michel Lafarge of Jean-Pierre Charlot at Domaine Joseph Voillot, the highlight for me being his Clos des Chênes (although I was only able to taste four of his 2016s). I will make a visit next time I am in the village to taste the full range. The only thing I don’t like? The labels. They look a bit old-fashioned! This is a Pommard grower that has been on my radar for a while, so I was pleased to finally a) taste the wines and b) find them to my liking. The family traces their roots back to 1552 when the aptly named Jean Bourgogne settled in Pommard. Since 2002, 34-year old David Rebourgeon has run the Domaine after taking over from his father Daniel. He introduced a vibrating sorting table and vertical press to engender more elegance in what can sometimes be rustic wines. David tends around 18 acres of vine dispersed across Pommard, Volnay and Beaune. Tenets include de-budding and green harvesting in July to limit yields, lutte raisonnée in the vineyard, picking by hand, complete de-stemming and a 14- to 18-month barrel maturation. I have to say, I was mightily impressed by some of David’s 2016s, especially an outstanding Pommard Les Grands Epenots, Pommerd Clos des Arvelets, Volnay Taillepieds and Volnay Santenots. Sometimes you taste through a range of wines that leaves you feeling elated. That was certainly the case here. I cannot wait to taste more from this domaine. There is certainly a buzz around Domaine Bizot at the moment as Burgundy-lovers sniff out the next big thing. I am probably too late. These days it does not take long for prices to twitch and escalate rapidly, as they have done here. Unfortunately these wines are eye-wateringly expensive, partly due to a rather tenuous Henri Jayer connection that seems to extend little past the fact that Henri lived down the road and imparted sage advice! I had never tasted Bizot’s wines myself so took the opportunity when two 2016s were poured in the Vosne tasting at Clos de Vougeot. Jean-Yves has a distinct approach to winemaking, eschewing sulphur on one hand, which has “naturally” endeared him to “natural” wine-lovers, utilizing 100% stems, but adamant on maturing his wines in 100% new oak. There is a kind of contradiction there, though it is the use of clean new barrels that obviates the use of SO2 according to Bizot. This is a domaine that I would like to visit in the future so I will not say too much more at the moment and just offer these two reviews of their impressive 2016s. Back in March this year, I finally had the opportunity to taste through the latest vintages from Domaine Arnoux-Lachaux with young Charles Lachaux. I must admit that I was a little reserved at first because I was never a huge fan of Pascal Lachaux’s wines, as they often felt over-extracted and too oaky for my own personal taste. However, it is abundantly clear that Charles has taken a completely different approach and his wines are totally different to his father’s. 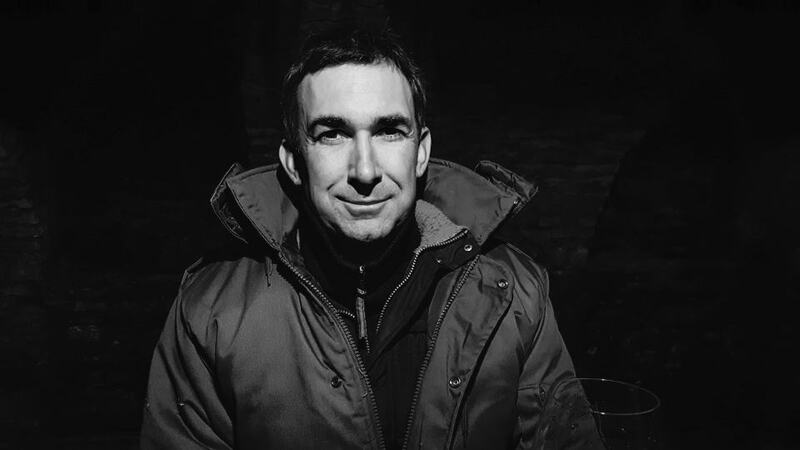 Charles Lachaux, Pascal’s eldest son, joined the domaine in October 2011 and instituted changes almost immediately. These include later summer pruning in order to maintain root growth, higher density planting (a recently replanted parcel in Aux Reignots has a vine density of 20,000 per hectare), harvesting between 7 and 10 days earlier than in the past, less punching down and pumping over. Charles’s inspiration is no less than Lalou Bize-Leroy, a person who rarely gives her blessing to other growers. As such, Charles is not biodynamic like Lalou, although the vineyard is now 90% converted to organic and I strongly suspect there will be more conversion to biodynamics down the road. Whole cluster fermentation has been increased so that the 2016 vintage includes between 60-70% stems. The new oak has inevitably been dialed down so that even the Grand Crus only see a modest 30% new wood. As you might guess, production was impacted by the spring frosts in 2016, the Domaine losing around 60% of production. This is one of those tastings where I had to completely forget my experiences and prejudices towards the wines I tasted for many years. Without wishing any disrespect to Pascal, Charles has completely reinvented the domaine to create wines that express far more terroir, purity and elegance than those of his father. In particular, I would single out a quite brilliant 2016 Latricières-Chambertin and a strong set of Premier Crus, really across the board, those in Nuits Saint-Georges likely to represent the best value. Domaine Boursot is located in the new industrial facility outside Gilly where you will also find Mark Haisma and a relocated Laurent Ponsot. Though they have welcomed modernity and the newfound freedom of working space, the Boursot family trace their roots in Chambolle-Musigny back to 1550, when Guillaume Boursot was recorded as a local winegrower. I met with Romaric et Romuald Boursot who took over from their father Remy with the 2014 vintage. “We are the 15th generation of winemakers,” Romaric explained when I visited the domaine in early March. “We have four hectares of vines, mostly in Chambolle-Musigny, and a small négoçe, Boursot Père et Fils, that was founded in 1993. My parents started buying in bottle but it was difficult to sell because customers prefer our own wines. Now we buy only grapes. We have started to use more new oak but for a shorter time, mainly Damy and Cadus.” There is still a bit of improvement to be made here. I would like to see just a little more complexity and terroir expression for example. But there is the foundation for a promising future with a decent range of holdings and great facilities. 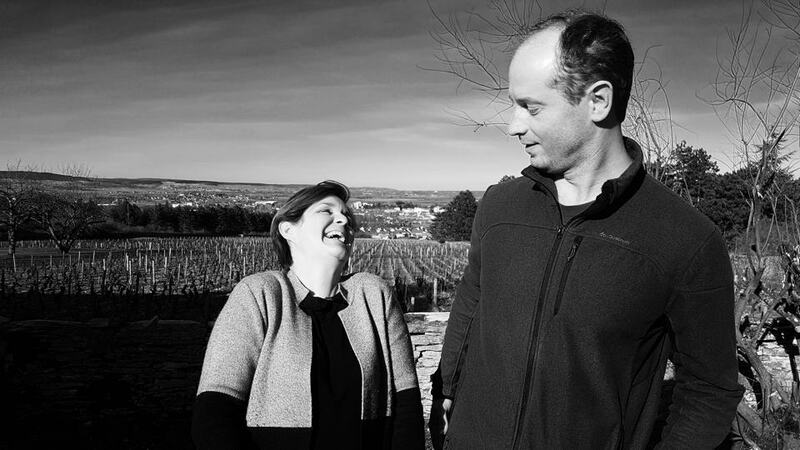 Gérard Raphet took off the running of the family Domaine back in 2002 and nowadays is assisted by his daughter Virginie. The Raphets farm around 12 hectares of vines mainly around Morey-Saint-Denis: an impressive portfolio that includes five Grand Crus and three Grand Crus (alas, only a partial selection for tasting). They have some very old vine stock to work with, the fruit picked by hand, fermented with natural yeasts, matured for around 18 months in barrel (around 15% new) and bottled without fining or filtration. I absolutely loved the two latest vintages of Clos de Vougeot, so much so that I was compelled to mention Raphet here and make a vow to visit the domaine on my next visit to Burgundy.